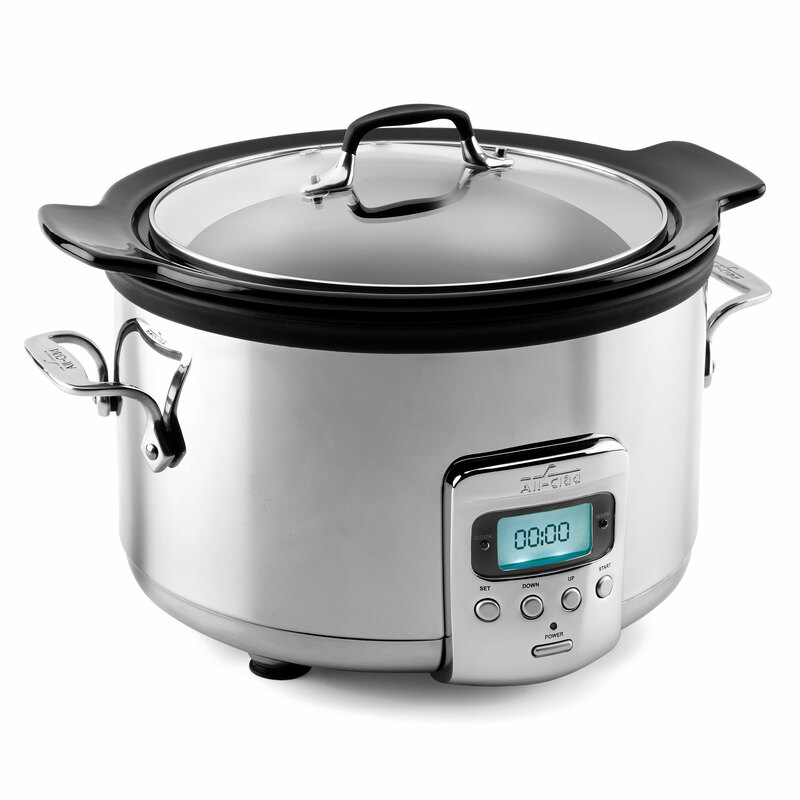 The All-Clad Slow Cooker with Black Ceramic Insert allows you to prepare home cooked meals at any schedule. Features a sturdy polished stainless steel body with a removable black ceramic insert and tempered glass lid. Includes a 26-hour programmable timer and warm, low, and high temperature settings for flexible cooking times. 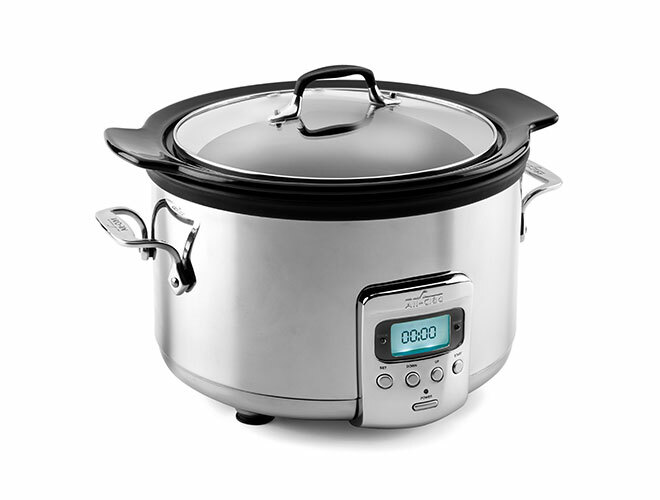 The slow cooker automatically switches to warm when the cooking cycle is complete. 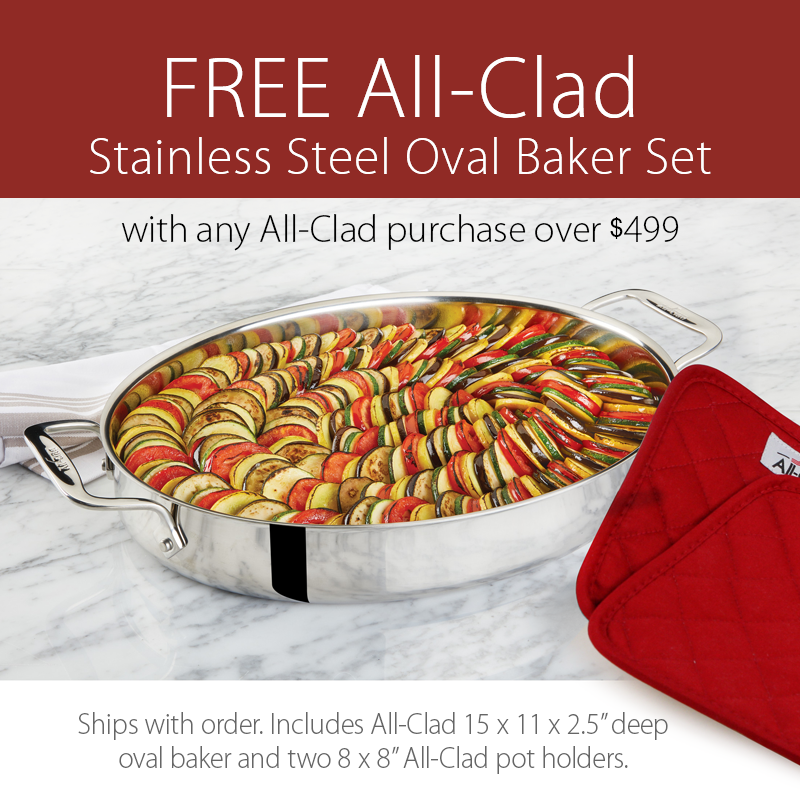 The riveted stainless steel handles provide safe transport and easy handling, while the non-slip feet keep the cooker steady on the countertop. 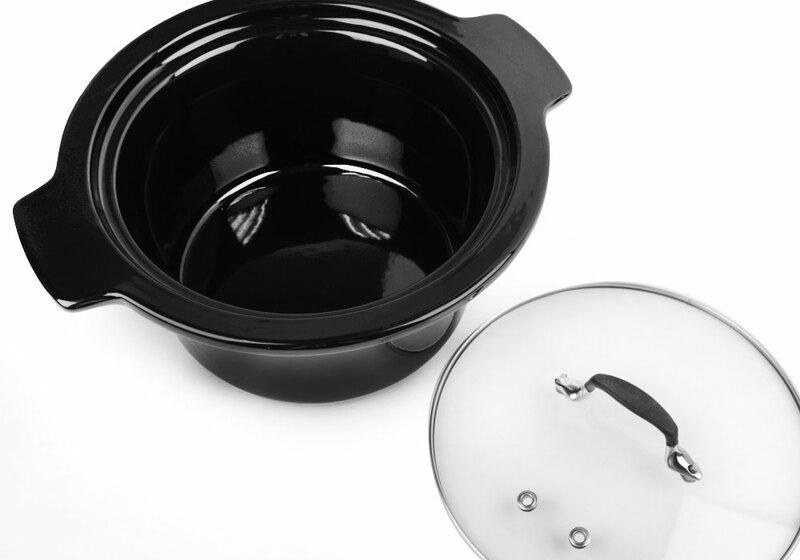 The slow cooker's black ceramic insert disperses gentle, uniform heat, and the glass lid lets you easily monitor your dish as it cooks. The insert's 4-quart capacity is ideal for large meals and big households. Cook richly flavored soups, stews, chilies, and braised meats with less work and easier clean up.